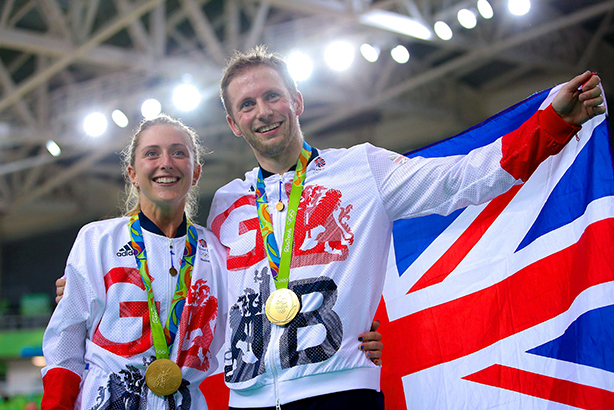 Engaged GB cycling stars Jason Kenny and Laura Trott have both enjoyed huge success in the velodrome at Rio 2016 - and Kenny now looks set to make up ground on Trott on the PR front, having had a much lower profile to date, PRs suggest. While Trott is one of Britain's most recognisable female sports stars, Kenny took time out this week between winning his fifth and sixth career Olympic gold meals to suggest he was "not very marketable". In a reverse of the recurring theme of female Olympians playing second fiddle to the men in media reporting, today's Daily Mail refers to "Laura Trott and fiancé" on its front page. Immediate results from a PRWeek UK Twitter poll agree that Trott has more star power than Kenny. Maria Nicolaides, senior marketing manager at the sports and sponsorship agency Pitch, which is working to promote Channel 4's Paralympics coverage, said that Kenny's low profile before Rio was "incredible really given what he had achieved". She said Trott held the branding edge because "she's personable, she's engaging, she's friendly – brands want to be personal and engaging", but that Kenny could offer something to brands by appearing "super professional" and "very modest". Nicolaides said a professional services firm or one with a focus on high performance could benefit from this. Nicolaides said she would be surprised to see the pair do any sponsor work as a couple. "I don't think they're that despearate for attention – I'd be surprised," she said. However Rob Brown, CIPR president and founding director of Rule 5, a Manchester agency that handled PR for the World Championships earlier this year, said he thought that Kenny had become more media-savvy recently. "I felt that Jason was much more comfortable on the mic than he had been previously. I think he has grown into it a bit, he is happier to smile for the camera," Brown said of the experience of working with Kenny at the March event. Brown also suggested that some of Trott's stardom could be attributed to her rise to the top of the sport coinciding with the last hurrah of Victoria Pendleton, leaving space for a new British biking hero. And he said he thought the British public and media gave women's cycling equal billing to men, rather than prioritising the male sport as in football, rugby and elsewhere. "I think cycling is one of the areas where, aside from the major road races – where there are more opportunities for men to get attention – it’s pretty even," he said.